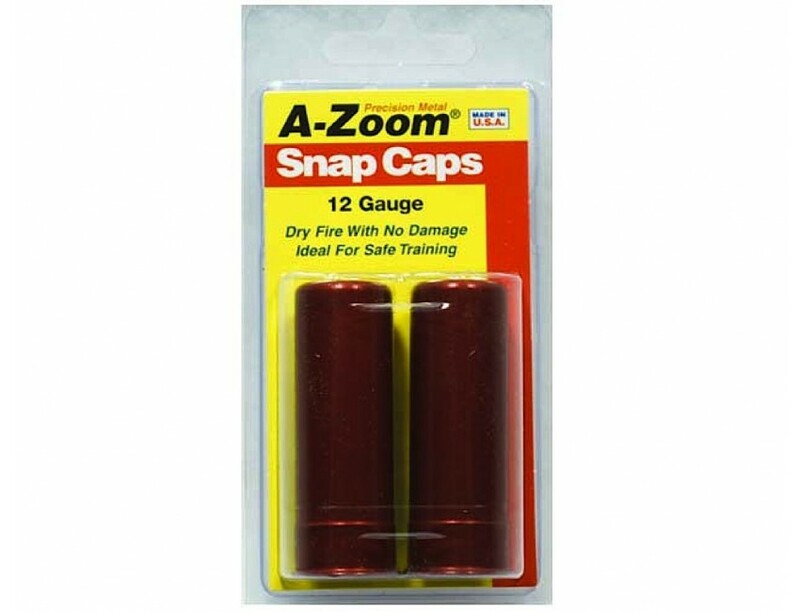 A-Zoom Snap Caps are perfect for safety training, function testing, or safely decocking without damaging the firing pin. They are precision CNC-machined from solid aluminum to precise cartridge dimensions, then hard-anodized for ultra-smooth functioning and long life. Each round has A-Zoom's remarkably durable "Dead Cap" proven to withstand over 3,000 dry fires while protecting the firing pin. A-Zoom Snap Caps last over 30 times longer than conventional plastic examples. These are ideal for releasing mainspring tension when storing shotguns long-term.